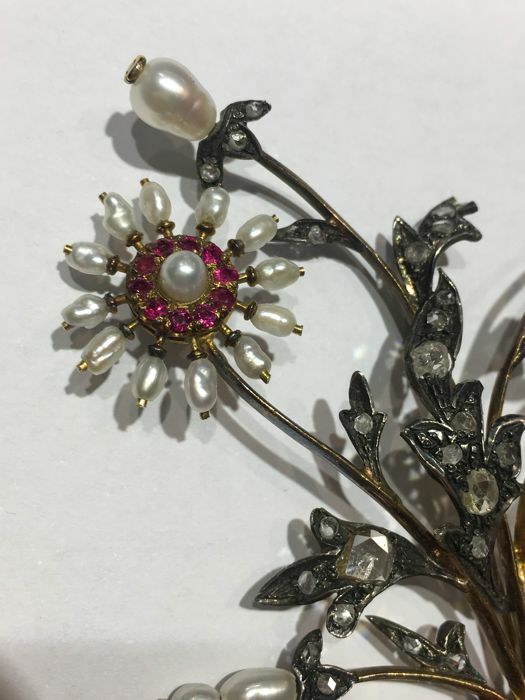 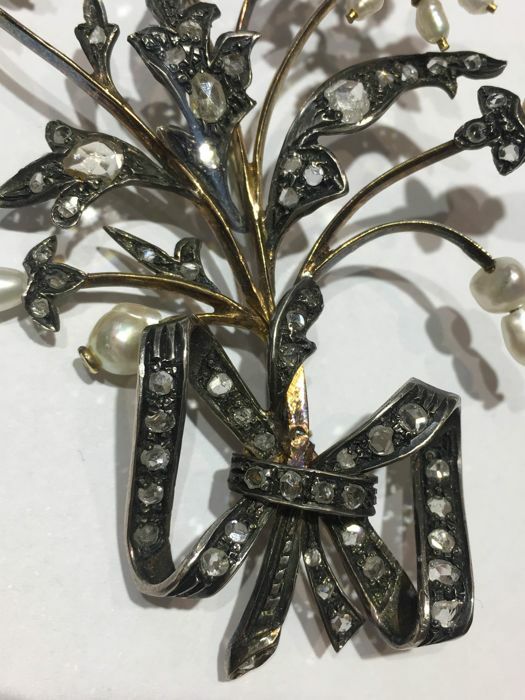 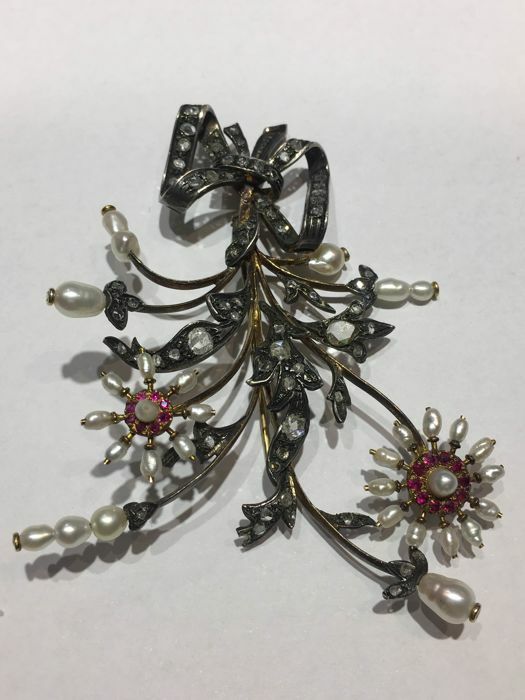 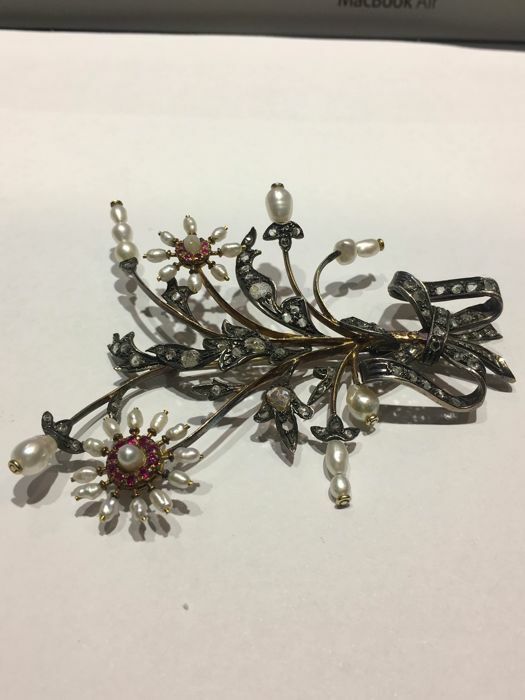 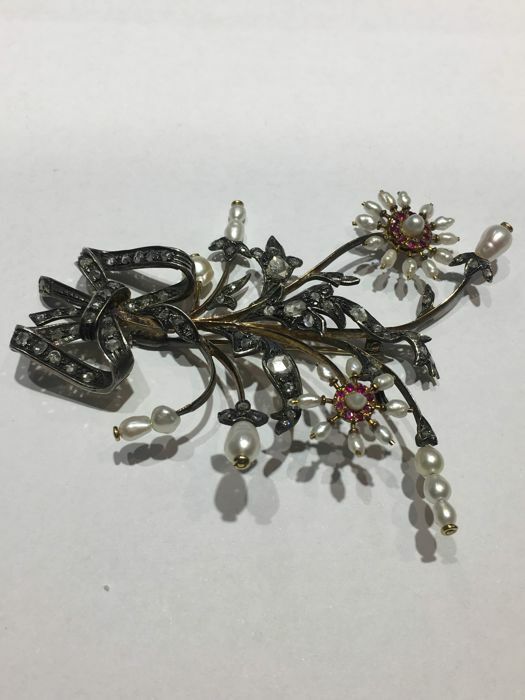 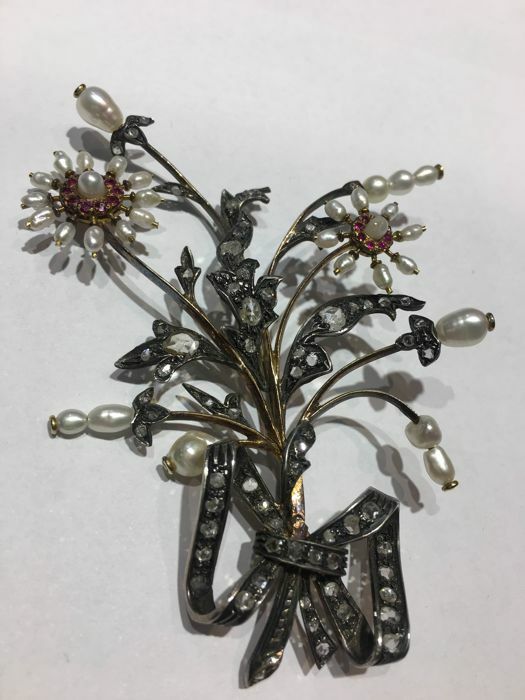 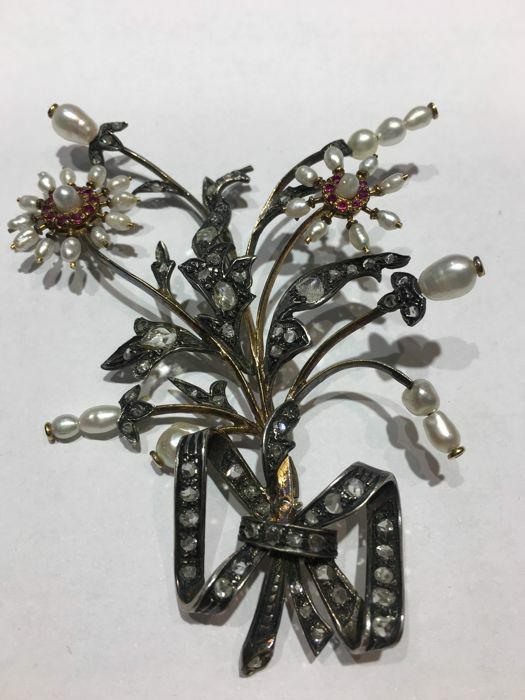 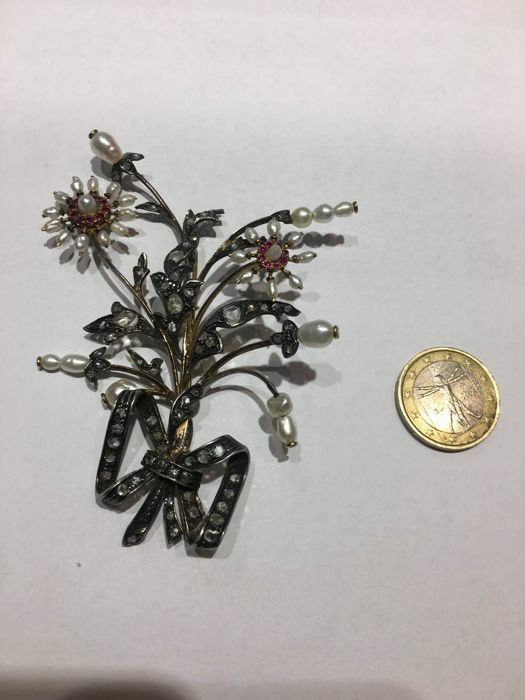 Brooch in 14 kt yellow gold and silver with natural rosette cut diamonds, natural antique cut rubies and scaramazza salt water cultured pearls. 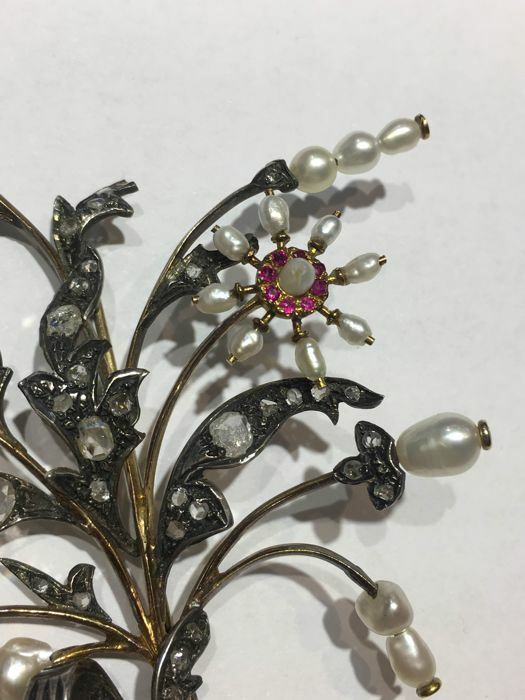 The pearls measure from 3 to 6 mm. 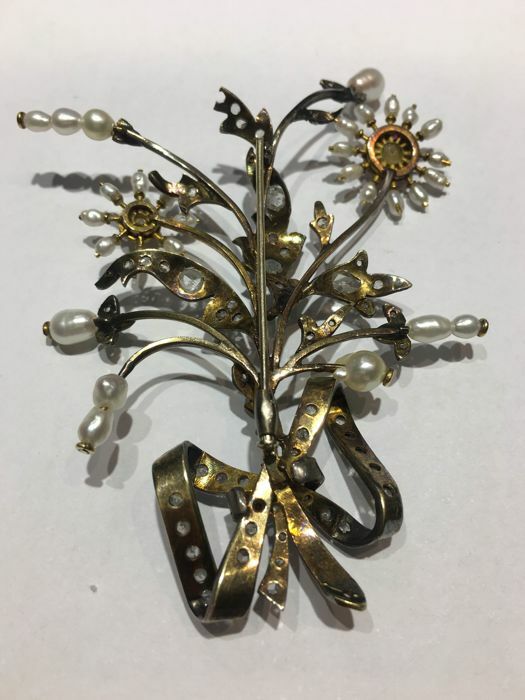 The item has no gold hallmarks, but it has previously been tested.